The Manayunk Roxborough Art Center, located at 419 Green Lane (rear) will offer a memorial celebration of the life and work of Kathleen Sheeder Bonanno on Sunday, August 5, from 3:00 to 5:00 PM. Kathleen was a prominent figure in Philadelphia’s literary scene and the guiding light in setting up the Musehouse A $5 donation is kindly requested for the Art Center. Refreshments will be served. 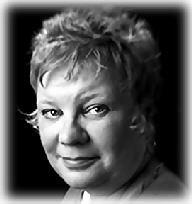 Kathleen was an award-winning poet, author, and activist and contributing editor to the American Poetry Review. Her awards included the Purple Ribbon Award from the Lutheran Settlement Home for her advocacy on behalf of domestic violence issues, the Beatrice Hawley Award for her best-selling book of poems, Slamming Open the Door; and a Knight Foundation grant which made it possible for her to open Musehouse—A Center of the Literary Arts in Chestnut Hill. Kathleen y was a woman of extreme generosity, heart and incomparable wit. Lover of puns, dogs, and the arts; unparalleled raconteur; gifted teacher; poet of grace and candor; tower of strength; and world-class free-spirit. She also possessed a gift for friendship. In many ways this memorial tribute grew out of a special article in the Schuylkill Valley Journal that was devoted to the appreciation of Kathleen as a teacher and the specialness of the Musehouse workshops. Contributors to that SVJ issue are: Amy Small-McKinney, Grant Clauser, Faith Paulsen, Susan Holck, David Ryan, Phyllis Strock and Susan Taichman- Robins. Amy Small McKinney, Grant Clauser, Susan Taichman-Robins, Faith Paulsen, Elliot barTzedek. Some people will also be reading some of Kathleen’s unpublished poems. For this memorial celebration everyone is invited to share memories of the remarkable teacher and special friend of the arts that is Kathleen Sheeder Bonnano. Let us celebrate her life and her writing and the compassionate humanity that she shared with so many. Peter Krok, Humanities Director at MRAC, is the coordinator of the MRAC Reading Series. He is also the editor-in-chief of the Schuylkill Valley Journal Print and Online at svjlit.com. For information about the program, call the MRAC at 215-482-3363 and leave a message. The Manayunk Roxborough Art Center, located at 419 Green Lane (rear) will offer a memorial celebration of the life and work of Kathleen Sheeder Bonanno on Sunday, August 5, from 3:00 PM to 5:00 PM. If you can not attend and would like to make a donation, Please use the link below and Thank You!